Charlie Eplin, above, is a fifth-grader at Belle Aire Intermediate School. He was named one of the Defensive Players of the Week for the White Lions for Oct. 14. 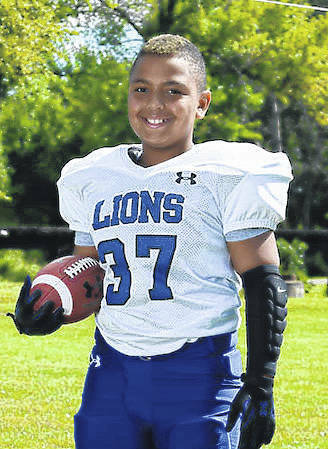 Derrian Murphy, above, a fifth-grader at Belle Aire Intermediate School, was named one of the Defensivev Players of the Week for the White Lions for Oct. 14. 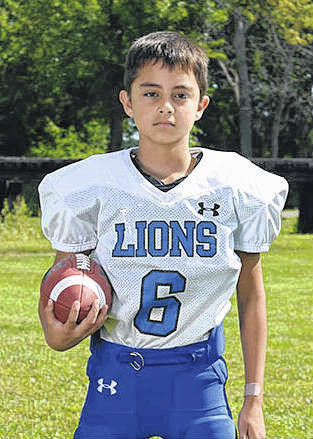 Gabe Perez, above, a fifth-grader at Belle Aire Intermediate School, was named an Offensive Player of the Week for Oct. 14 for the White Lions. 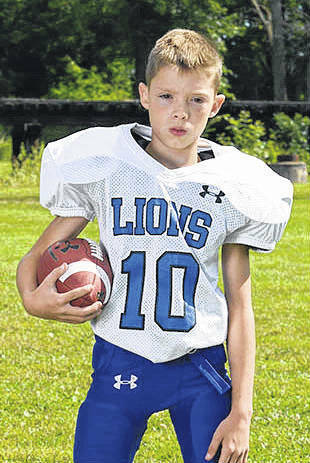 Isaac Hood, above, a fifth-grader at Belle Aire Intermediate School, was named an Offensive Player of the Week for the White Lions for the game of Oct. 14, 2017. Talon Freese, above, was named one of the Defensive Players of the Week for the White Lions for Oct. 14, 2017. He is a fifth-grader at Belle Aire Intermediate School. 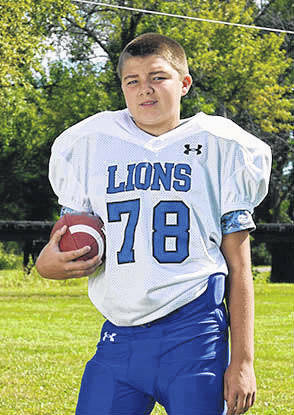 https://www.recordherald.com/wp-content/uploads/sites/27/2017/10/web1_Charlie-Eplin.jpgCharlie Eplin, above, is a fifth-grader at Belle Aire Intermediate School. 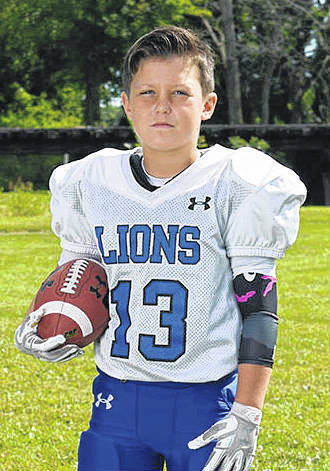 He was named one of the Defensive Players of the Week for the White Lions for Oct. 14.